The Facility of the Year Awards are an annual program that recognizes state-of-the-art pharmaceutical manufacturing projects utilizing new and innovative technologies to improve the quality of projects and to reduce the costs of producing medicines. 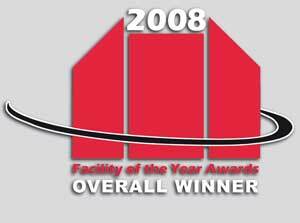 This year the prize was awarded to Pfizer’s NEWCON Facility for Oral Solid Dosage. Comecer is proud to have been involved in the NEWCON Facility providing a deduster isolator and a PAT isolator. For further information you can read the following article published in the supplement to PHARMACEUTICAL ENGINEERING that gives the projects details.